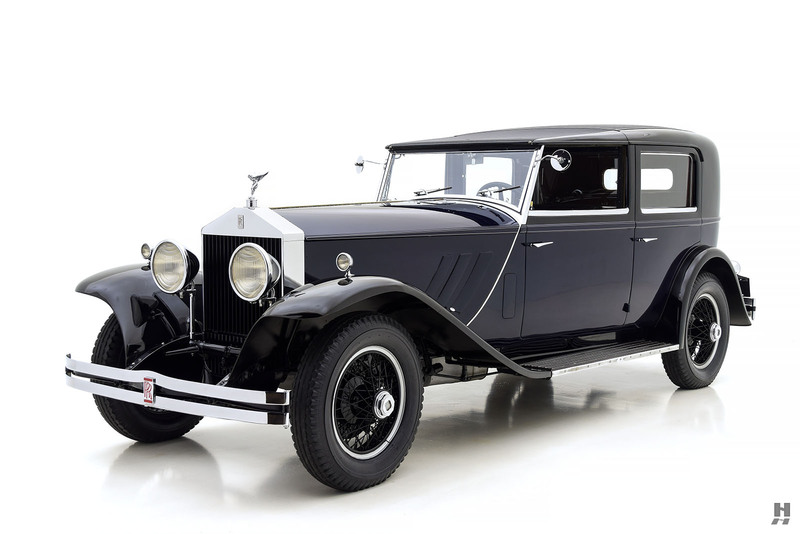 The Phantom I, officially known as the New Phantom, succeeded the long-running Silver Ghost in 1925. 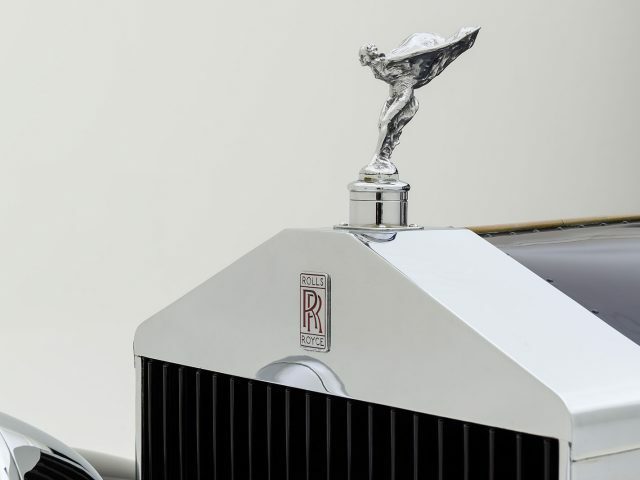 Over the nearly two-decades of Ghost production, countless improvements were made to the engine and chassis, therefore it was of little surprise that the New Phantom would be an evolutionary step, rather than a radically new car. 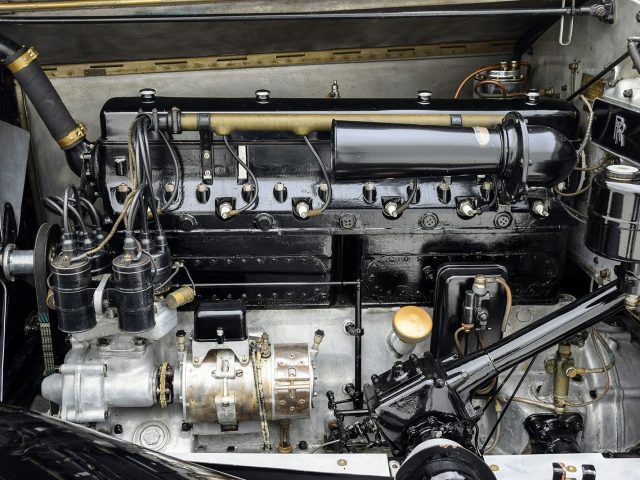 While the chassis remained essentially of the same design, the biggest news was under the bonnet – in the form of a new 7.7 liter inline six featuring overhead valves, replacing the Ghost’s side-valve unit. 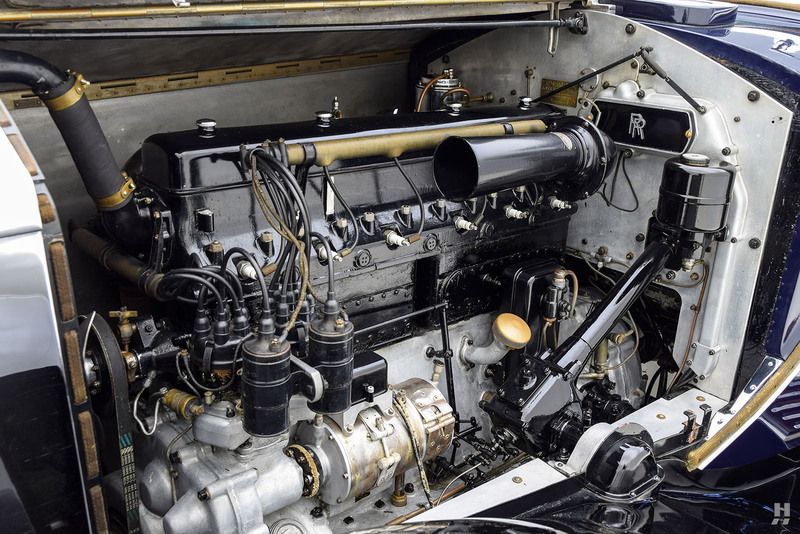 Power output was described as “adequate” by the factory – which was delivered with the exceptional smoothness their clients had come to expect. 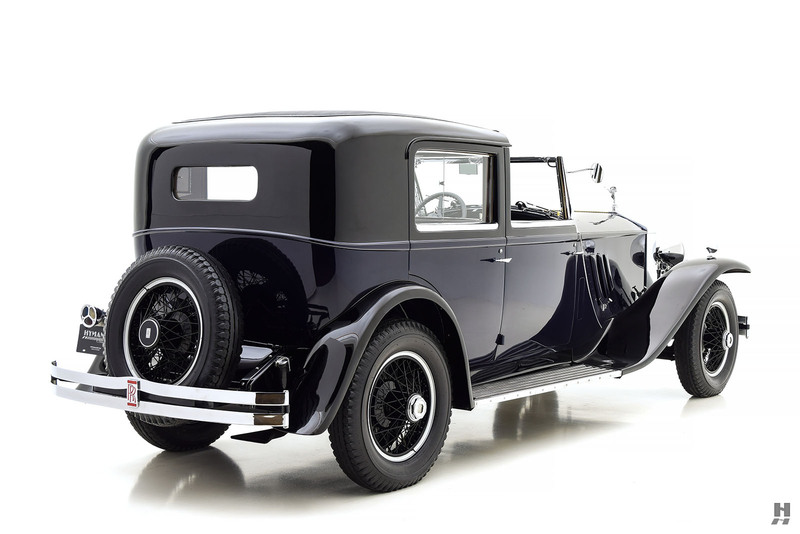 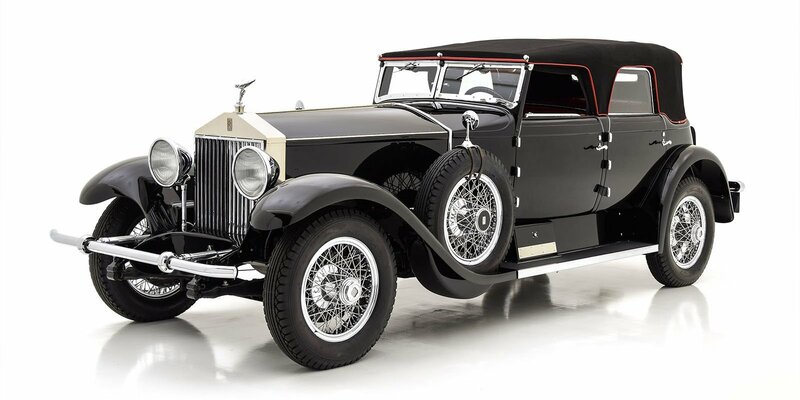 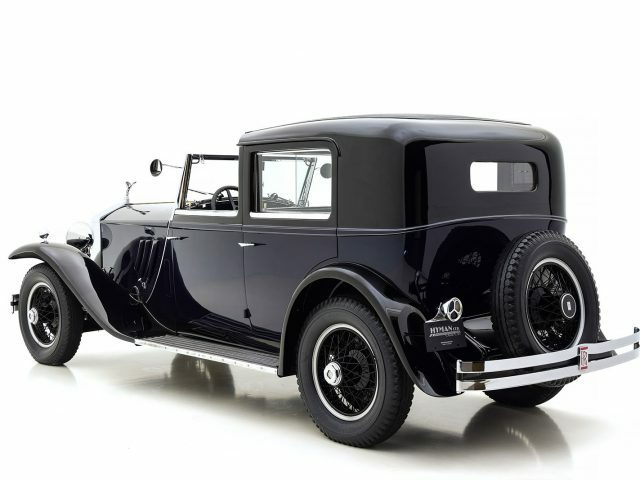 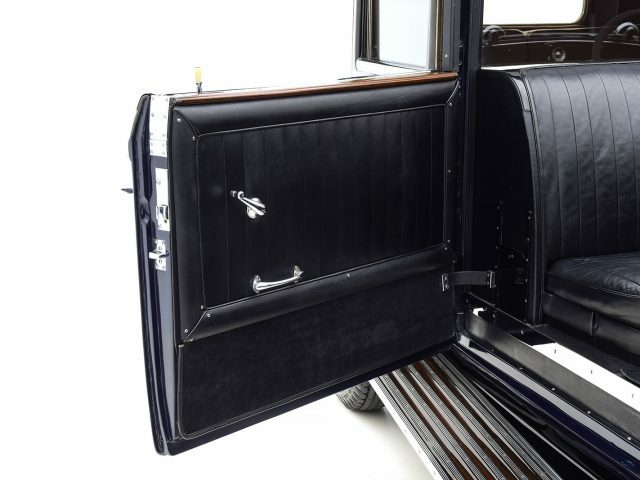 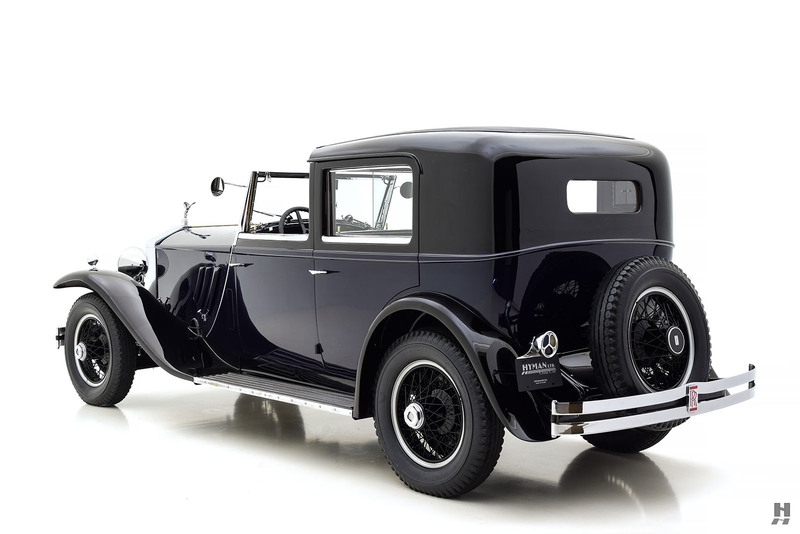 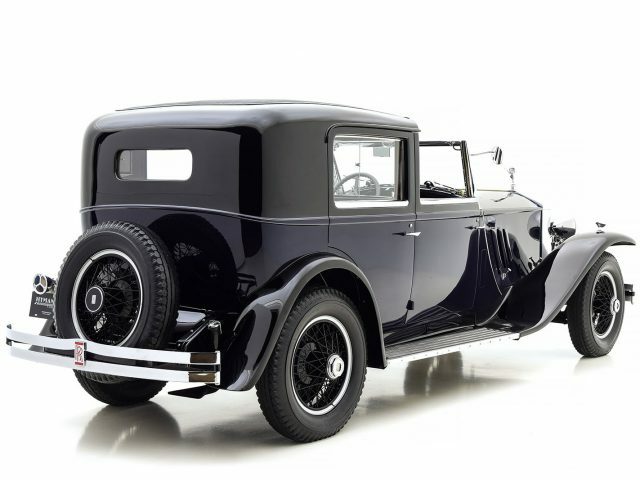 This 1931 Rolls-Royce Phantom I, chassis S209PR, is a late production example and one of just 11 Phantoms produced with this crisp and elegant Brewster “Newport” town car coachwork, a style originally intended for the Phantom II. 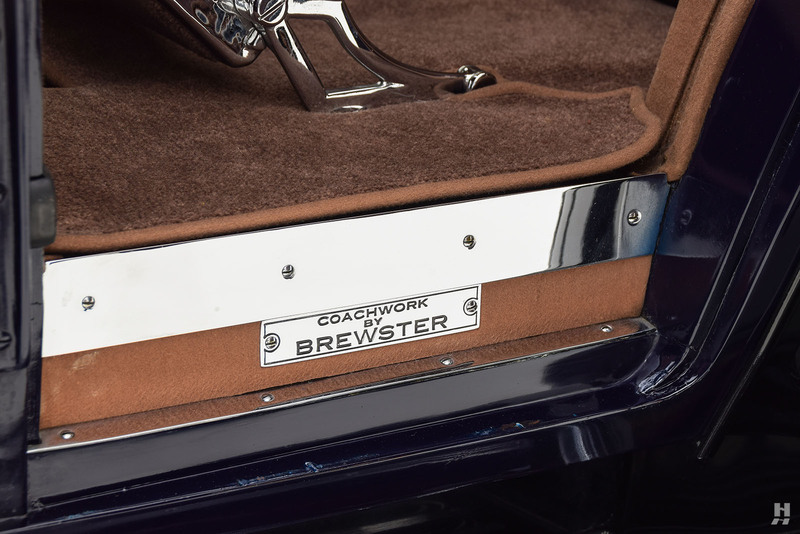 The body exudes elegance; with a low roofline, raked windscreen and the signature Brewster “sweep” to the bonnet shut line that is highlighted in chrome. 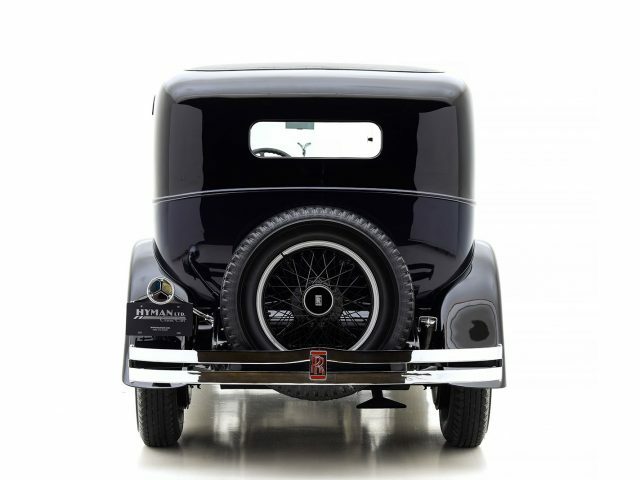 A single rear-mounted spare wheel makes for clean lines, and the subtle two-tone black and blue paintwork is understated. 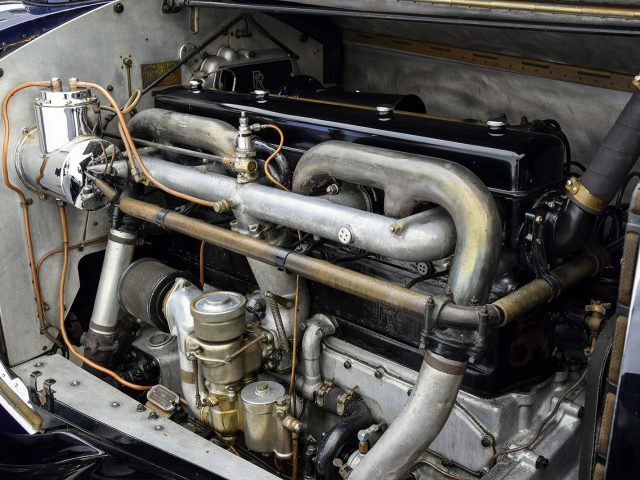 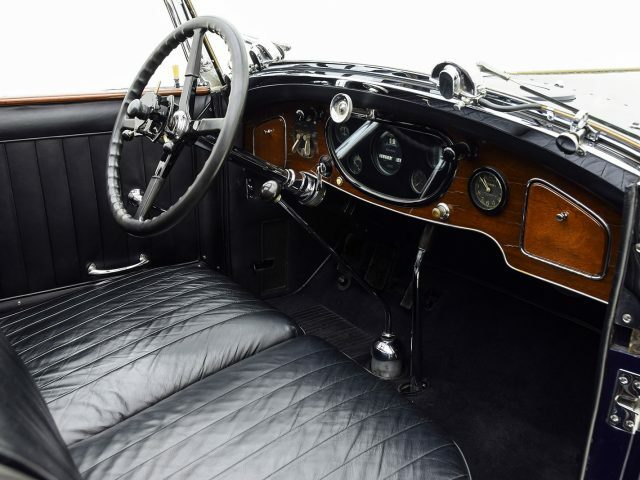 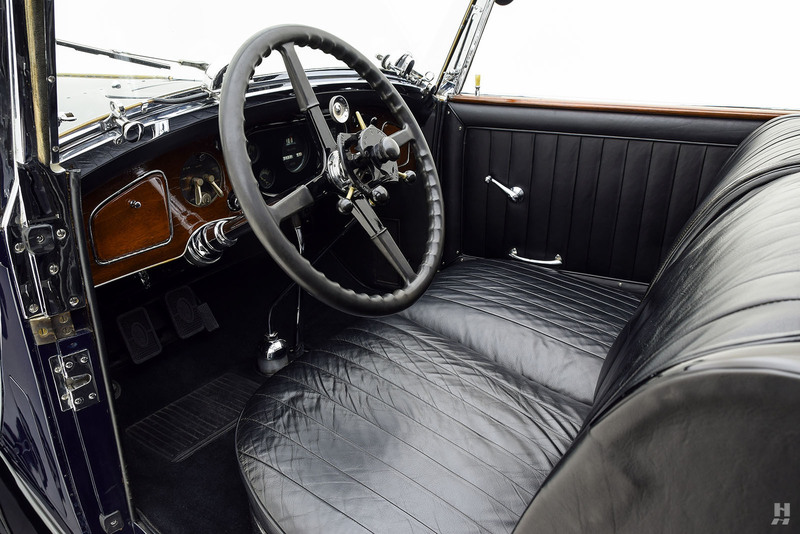 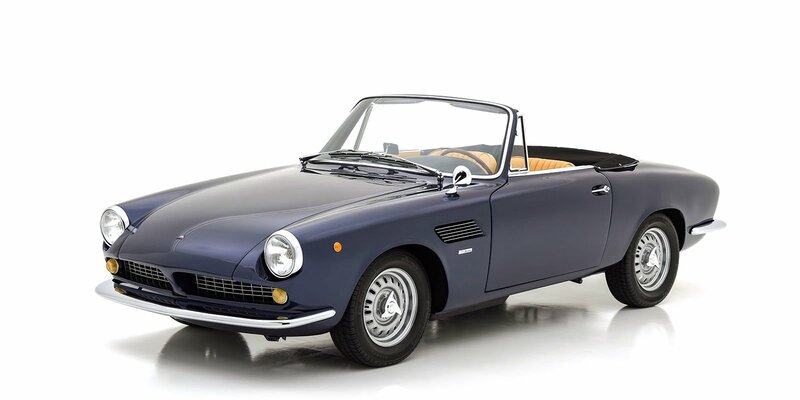 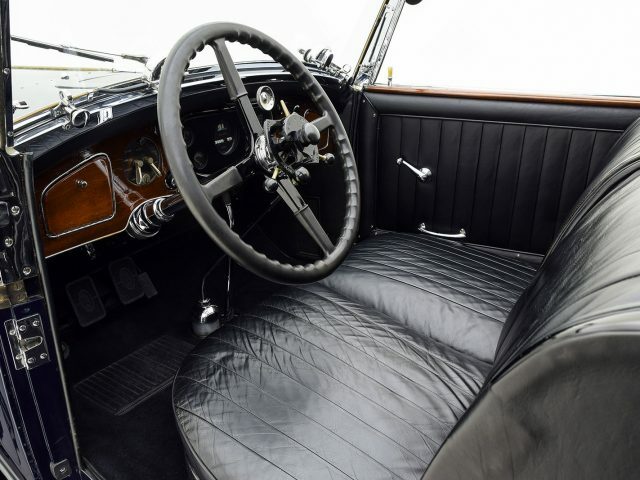 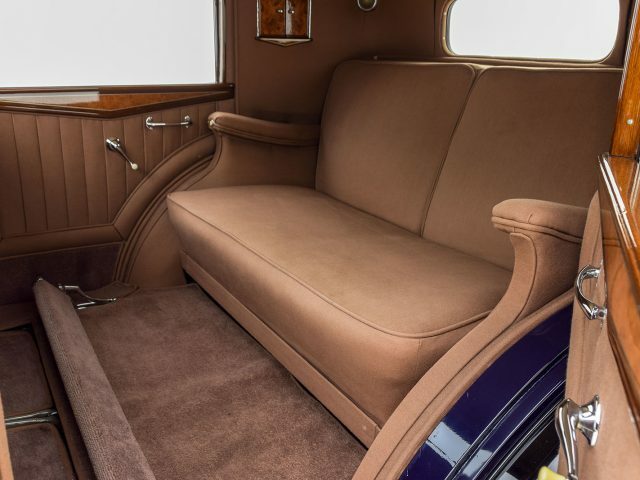 This car is wonderfully presented with a high-quality older restoration, backed by a meticulously compiled history file that shows a string of passionate, enthusiastic owners. 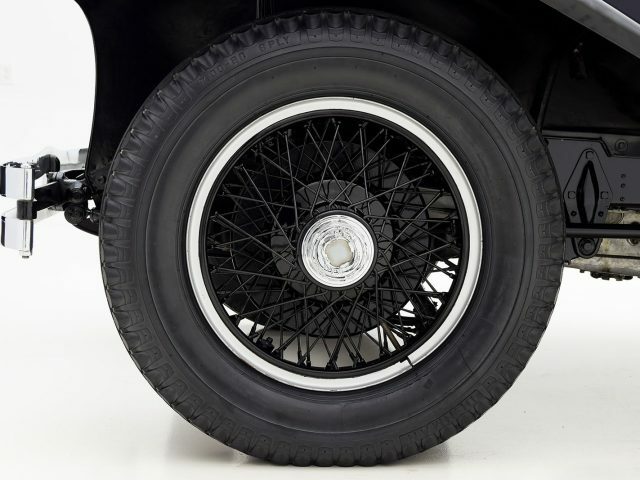 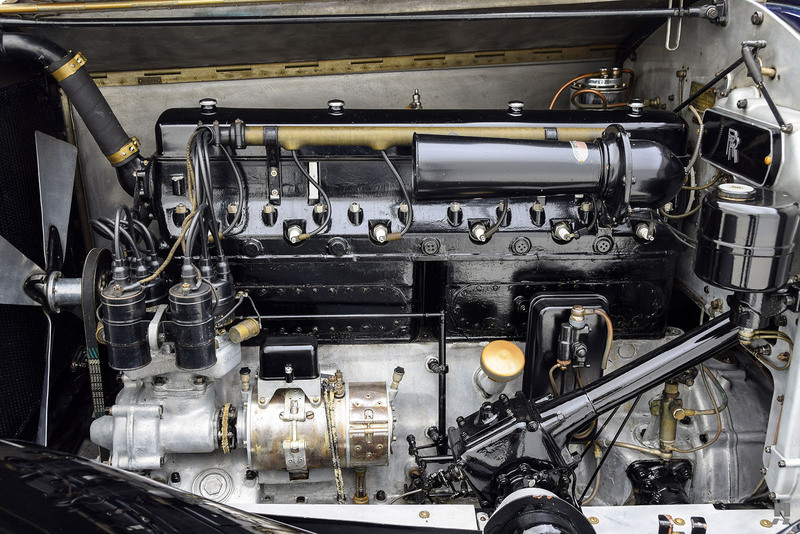 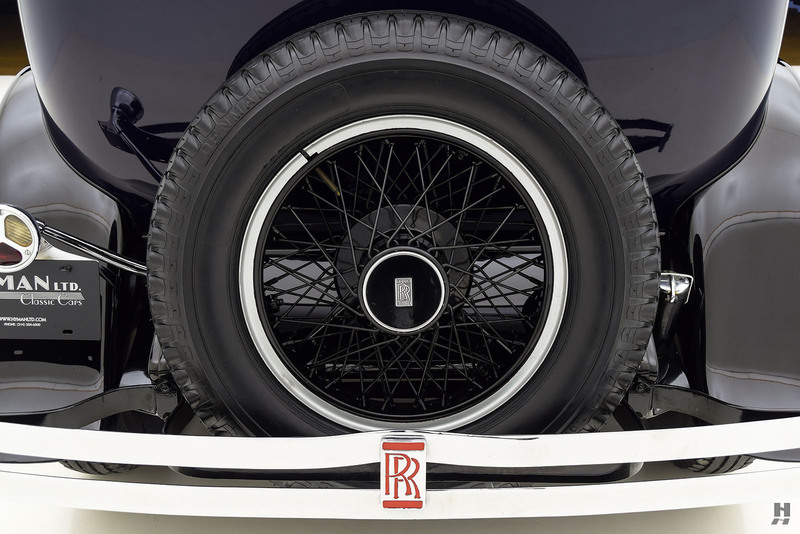 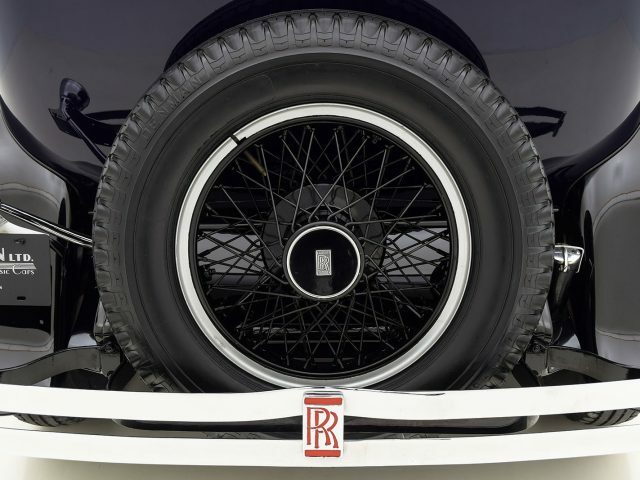 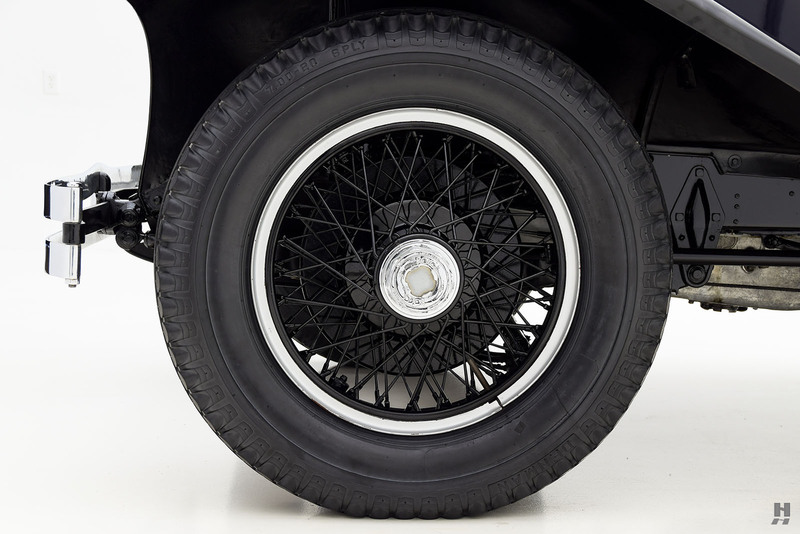 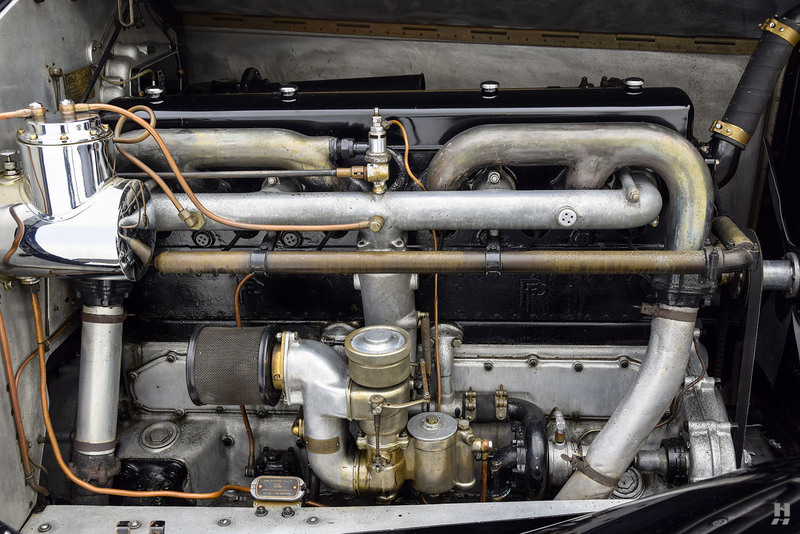 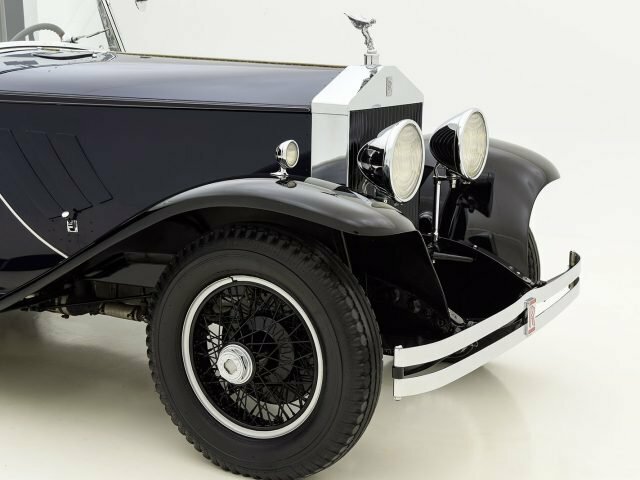 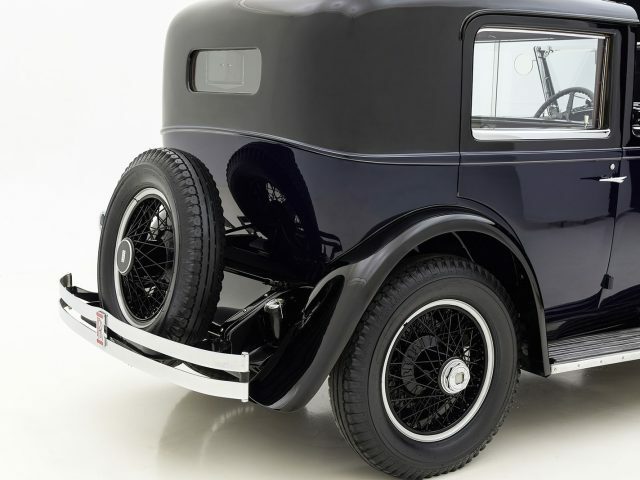 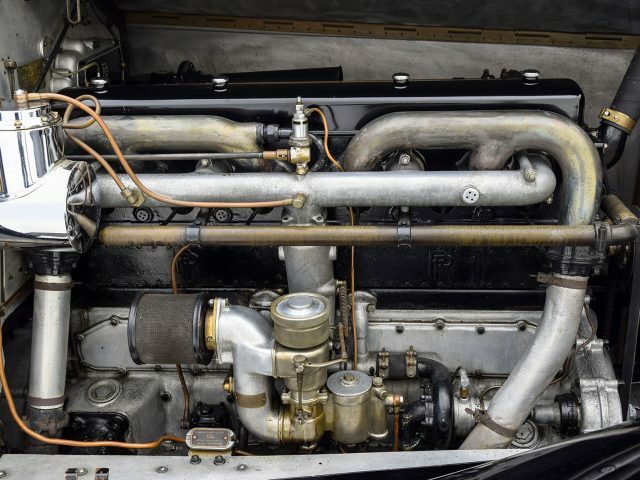 According to documents supplied by the Rolls-Royce Foundation, chassis number S209PR is the 32nd from the last Springfield car completed, and was originally delivered on January 13th 1934 to S.J. 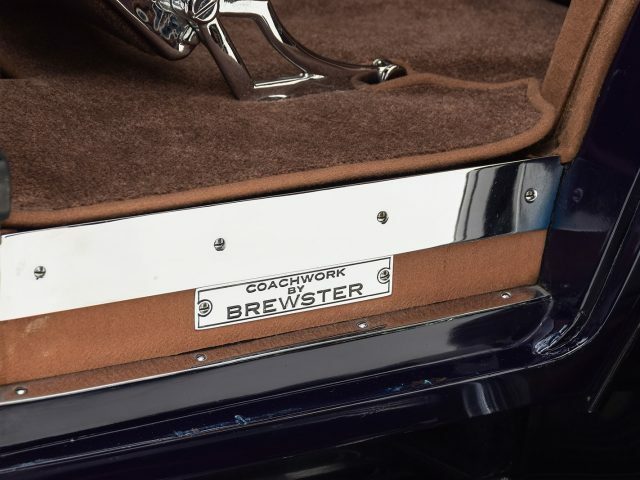 Gaines, wearing the same elegant Brewster Newport town car body it wears today. 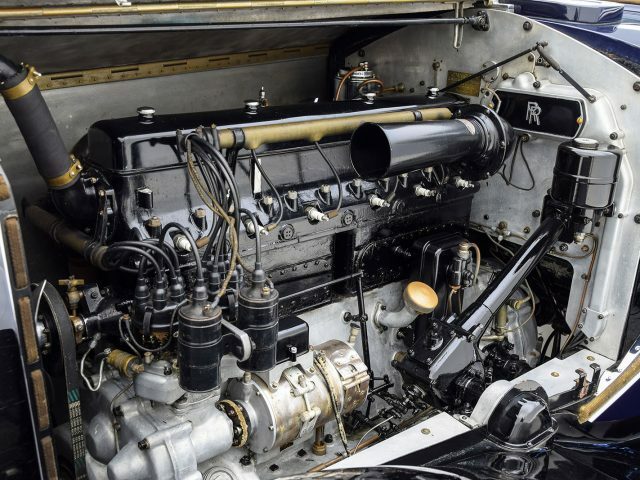 After just over a year with Mr. Gaines, S209PR was sold to Miss. 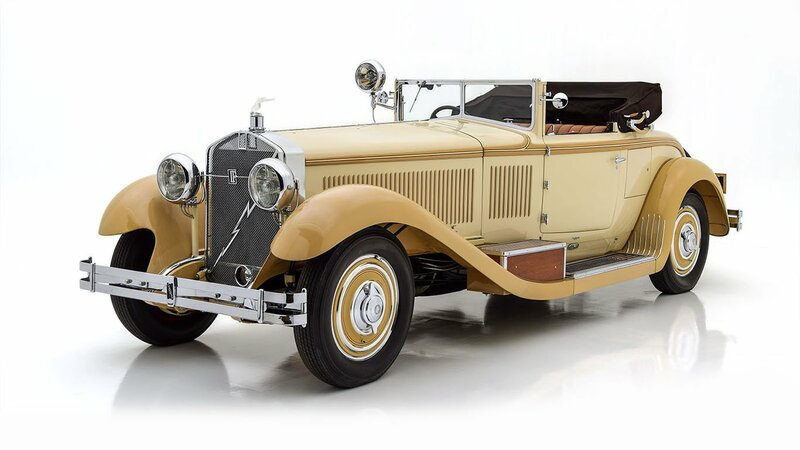 Belle Bacon of Massachusetts and one short year after that, the car found a longer term home with Ira Morris Nelson and his wife Constance L. Morris (herself of the legendary de Rothschild family and the former Mrs. Paul Guggenheim). Mr. Nelson was a prominent Chicago meatpacking heir, philanthropist as well as a diplomat. 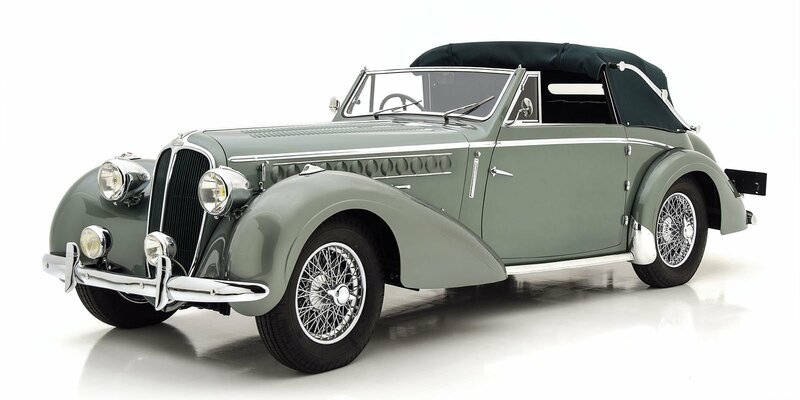 The car remained with Nelson until 1946, when it was acquired by York L. Wilson of Washington D.C. 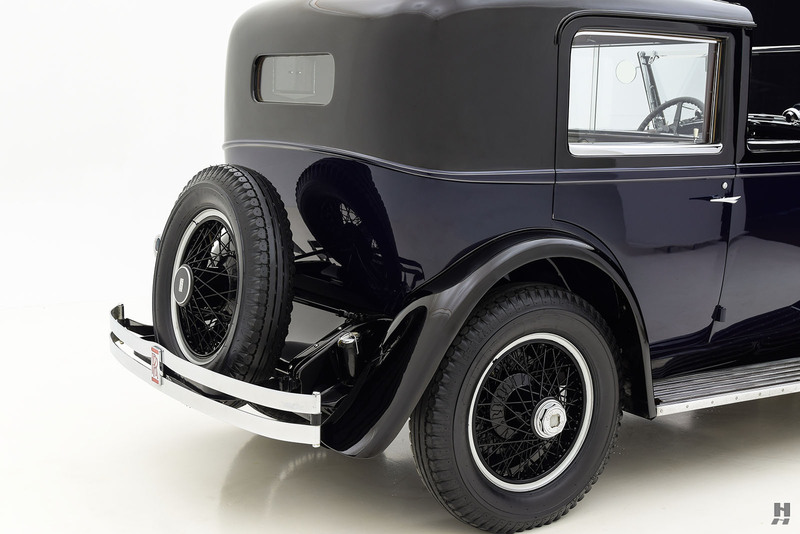 The transaction is well documented with numerous letters between Mrs. Nelson’s personal secretary and Mr. Wilson. 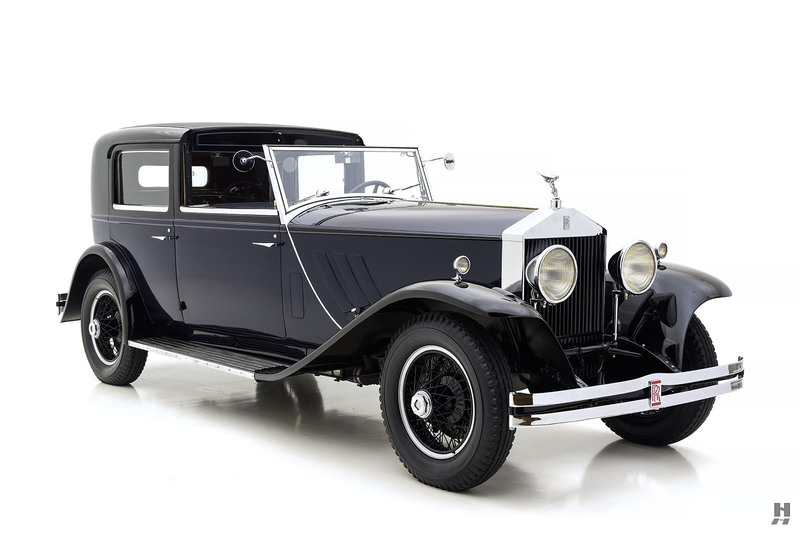 Still very much in fine running order, the handsome Rolls-Royce remained with the Wilson family for many years. 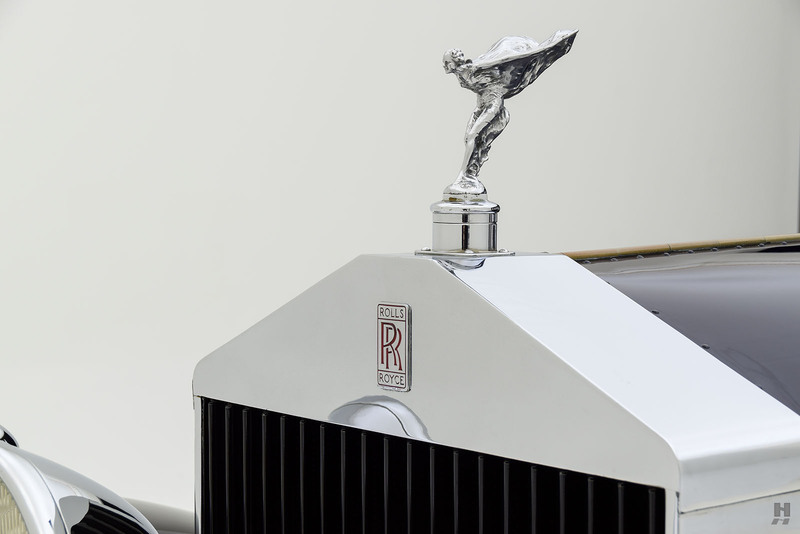 Family photos show the Phantom I with Wilson’s daughter, Minerva Wilson, while she was in college in the late 1940s – making mention that it became her unofficial class mascot! 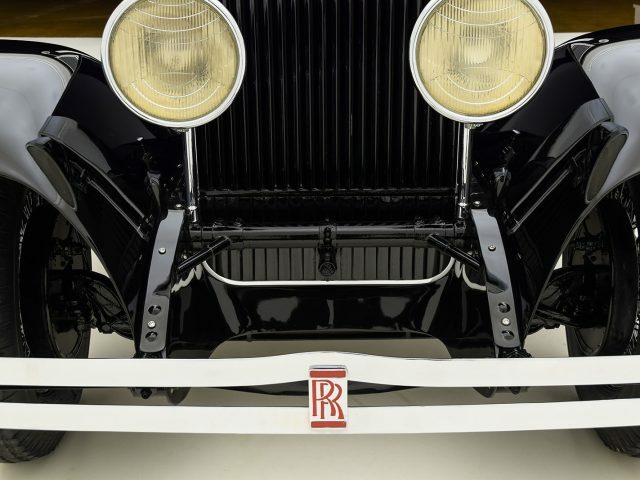 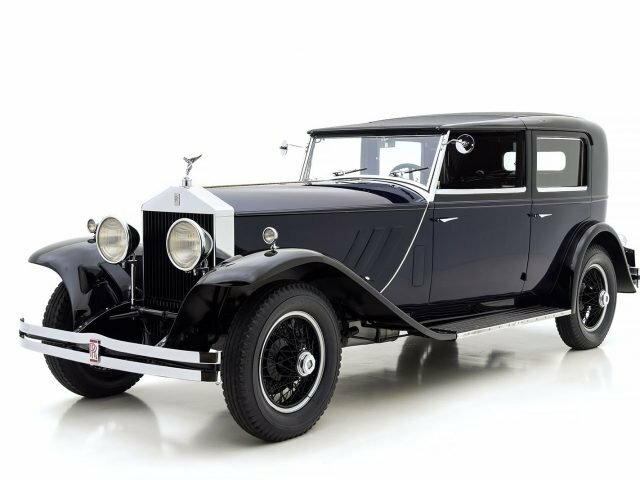 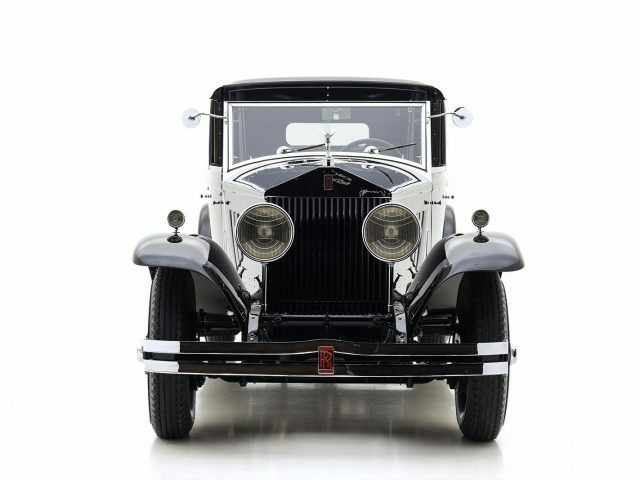 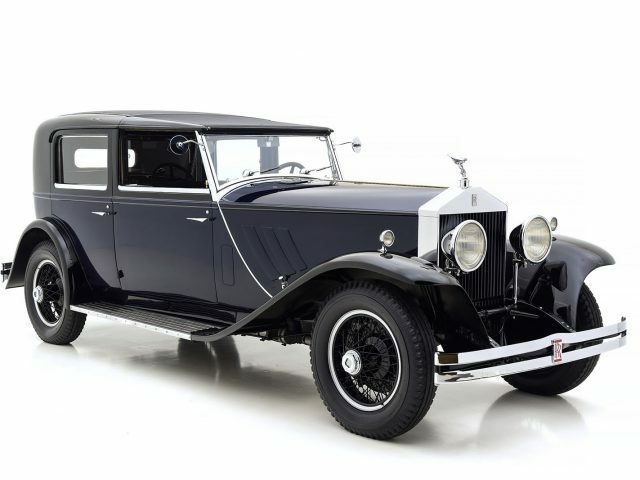 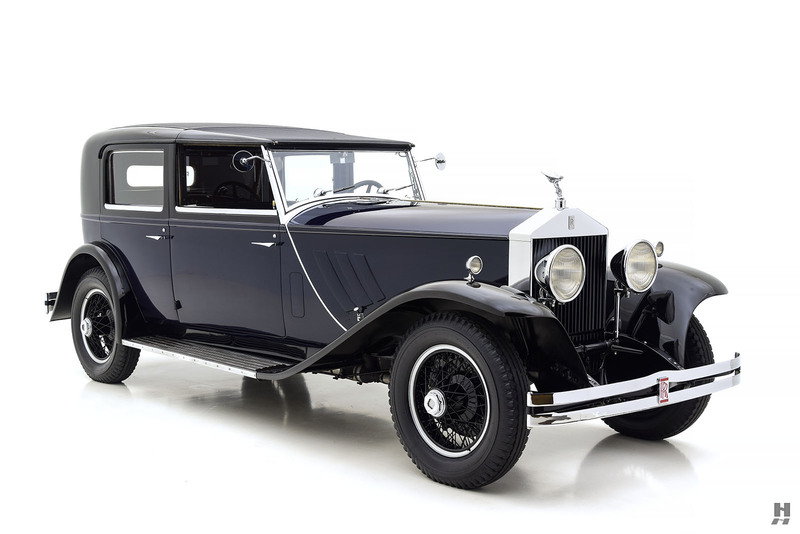 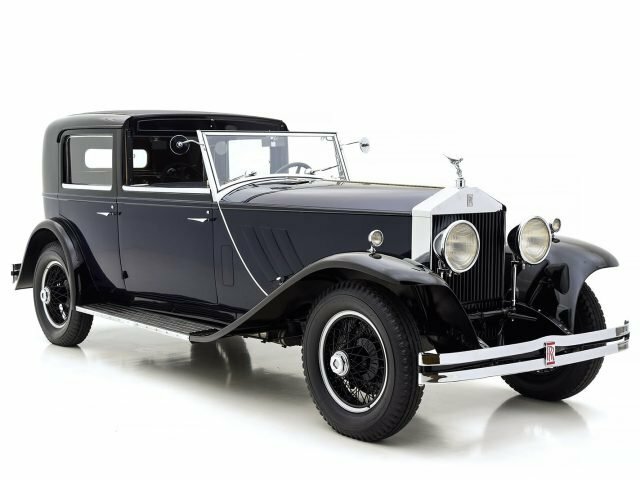 Minerva Wilson would go on to become a very prominent attorney in her own right, and one of her subsequent law partners, Stanley M. Franklin, would become the next owner of this wonderful Rolls-Royce. 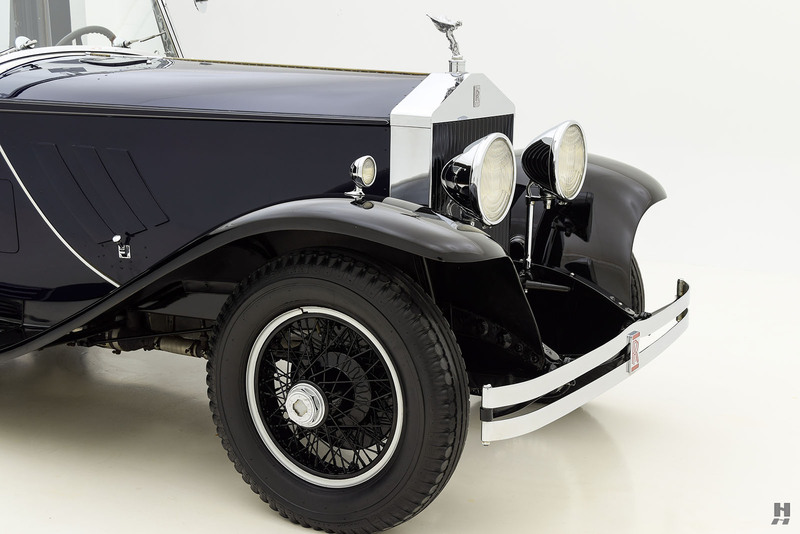 Mr. Franklin acquired S209PR from the Wilson family in 1978, with photos showing the car being pulled from a lockup in Washington D.C., across from the Bulgarian Embassy. 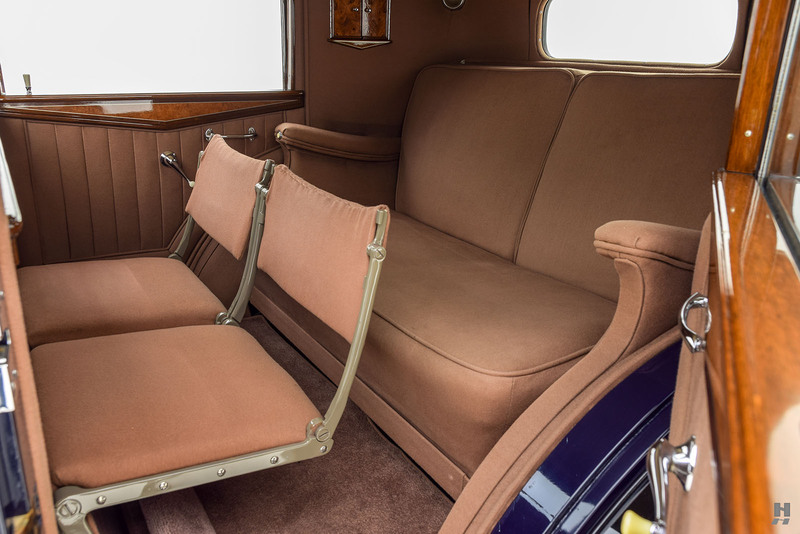 The photos depict the car in complete state, still wearing its original Brewster coachwork, albeit a bit tired by this point and in need of restoration. 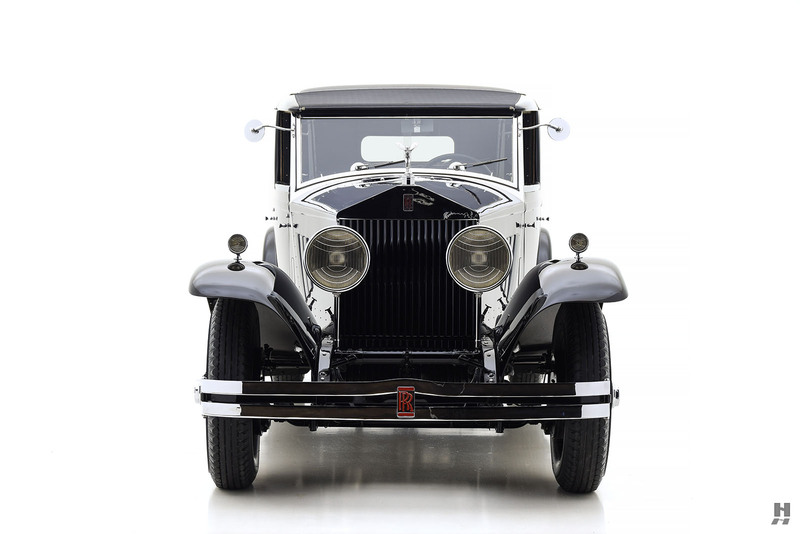 Stanley Franklin immediately recognized the importance and rarity of the car. 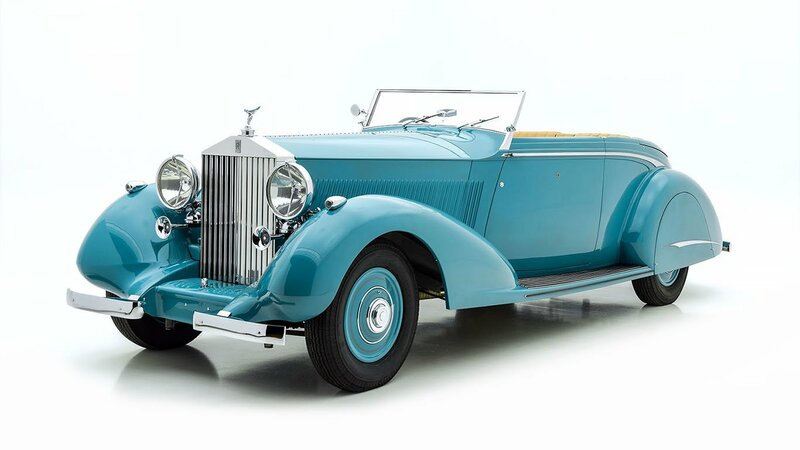 He researched a great deal of the history and was an active member of the Rolls Royce Owner’s Club. 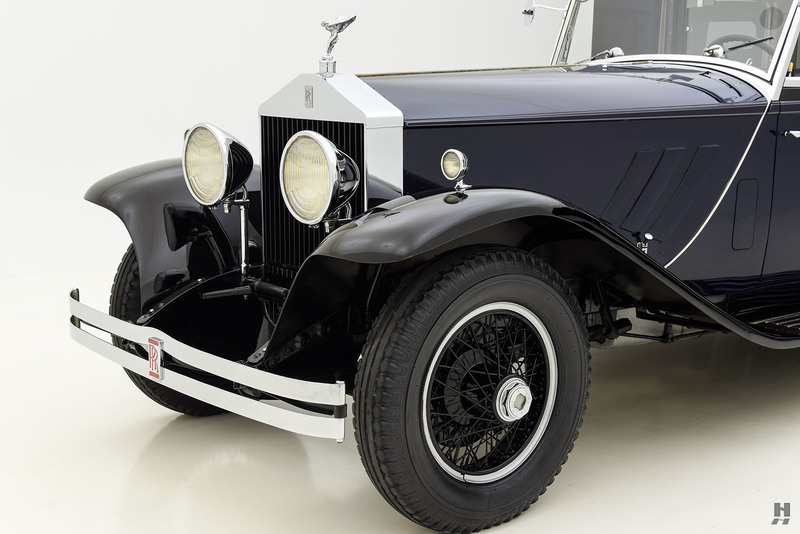 Franklin commissioned the complete restoration of the car with White Post Restorations beginning in the early 1980s. 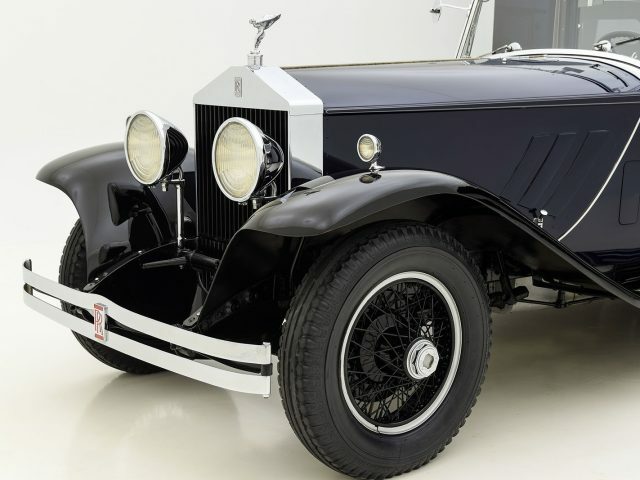 By 1986, S209PR was in the hands of Robert Pell of LaHabra, California who completed the restoration to very high standards. 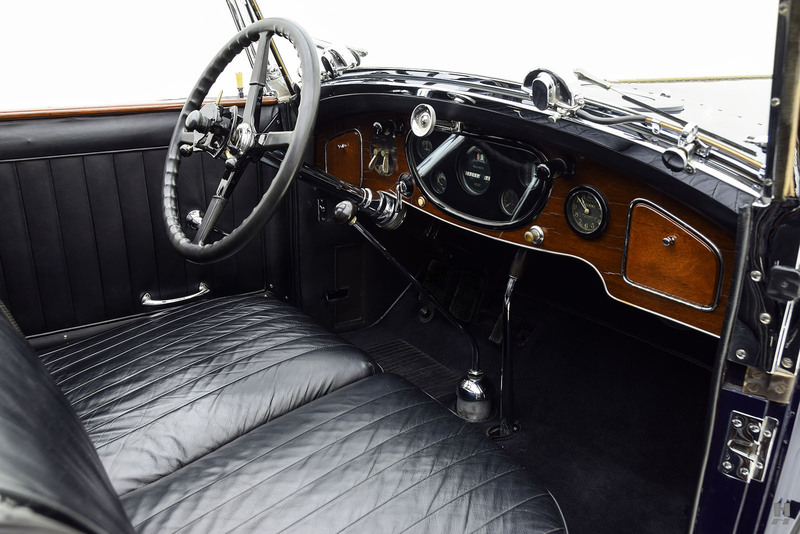 The restoration proved to be a supremely expensive undertaking, topping $250,000. 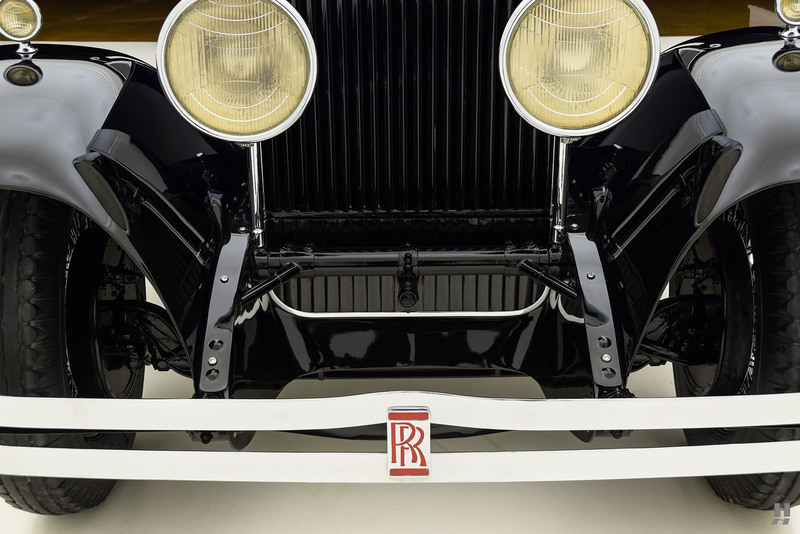 Pell, who owned the car through 2000, continued participation in the RROC, and the car would win awards with the AACA and CCCA as well. 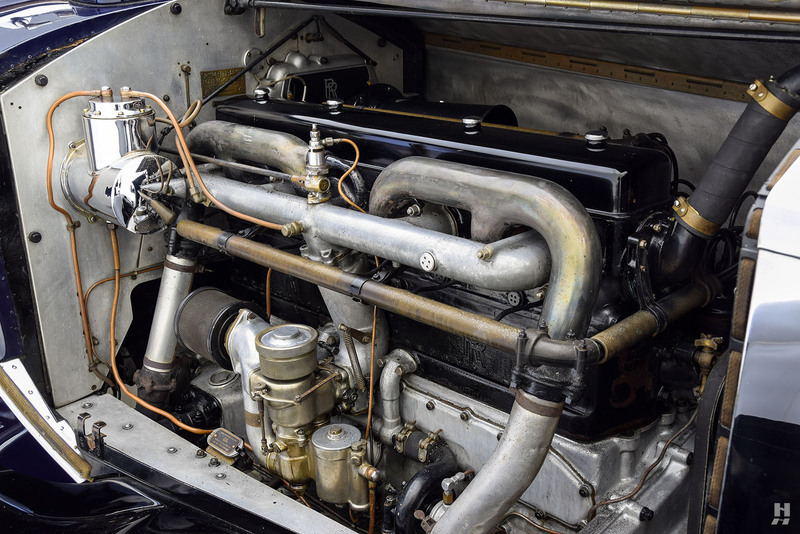 Most recently, S209PR was part of a very important private West Coast collection, and was maintained in beautiful order both cosmetically and mechanically. 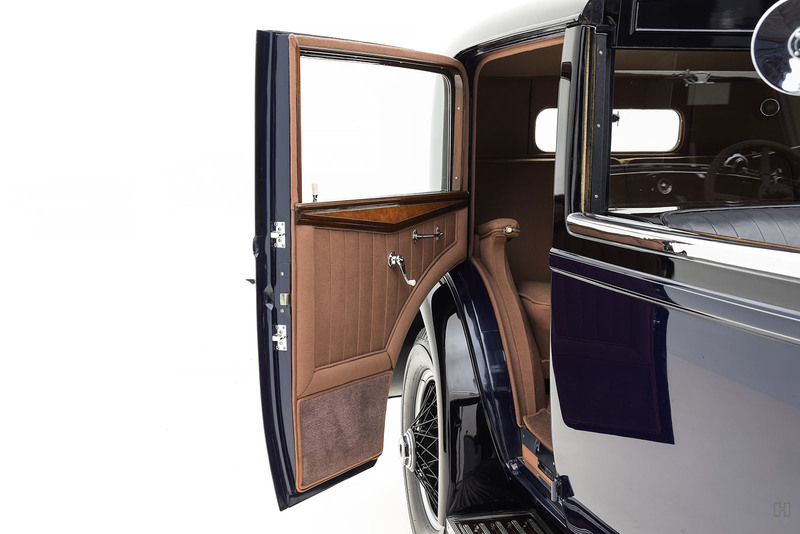 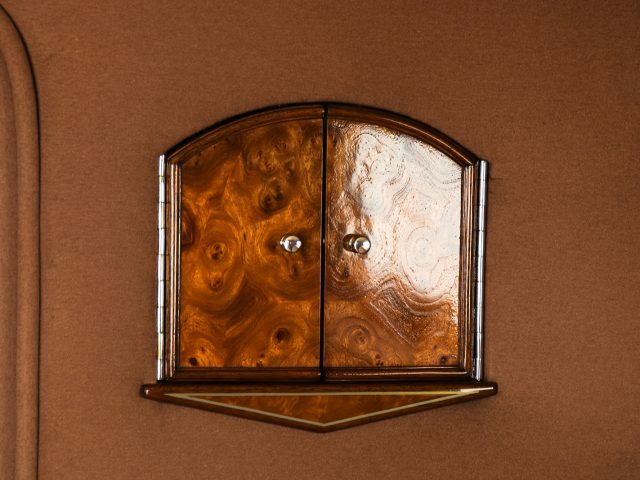 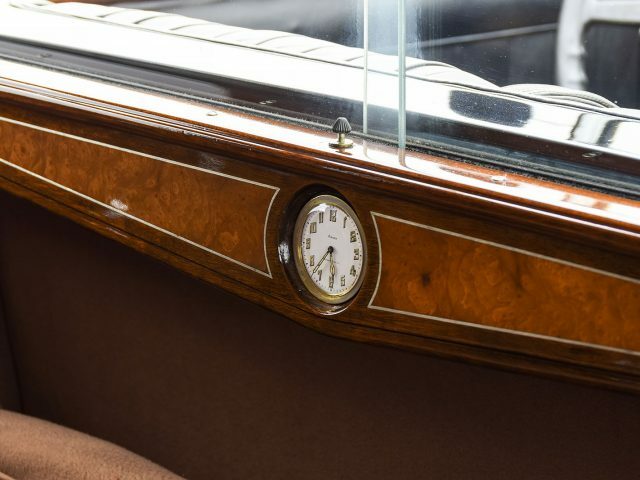 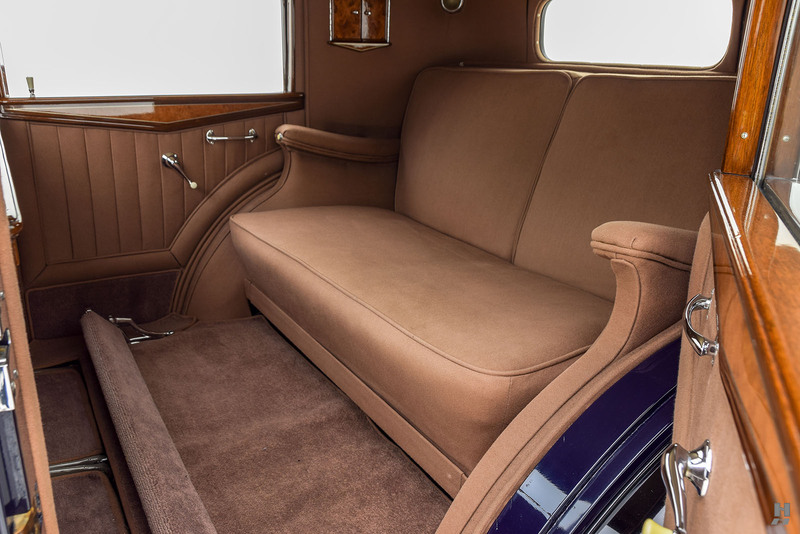 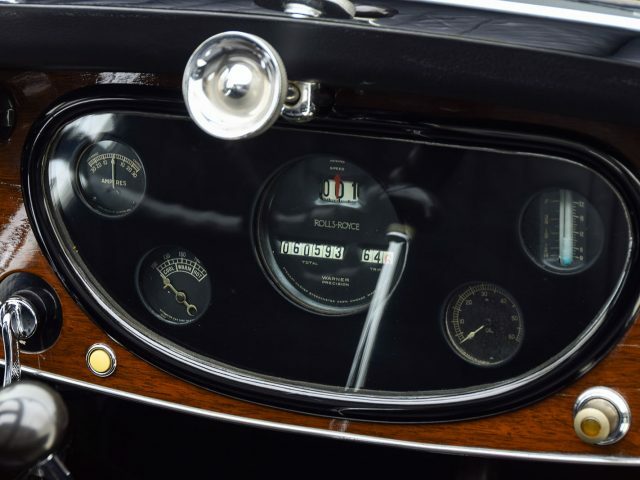 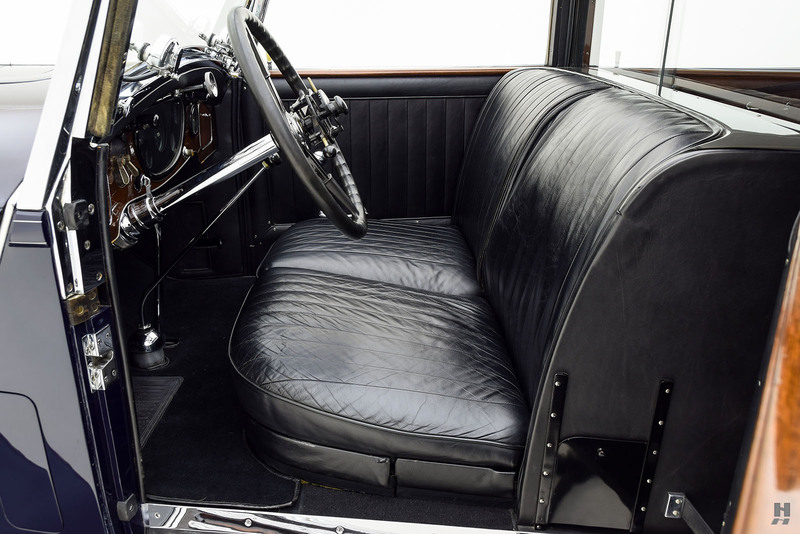 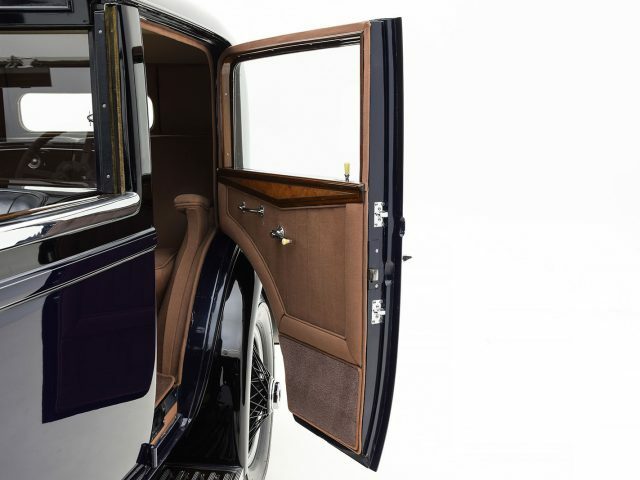 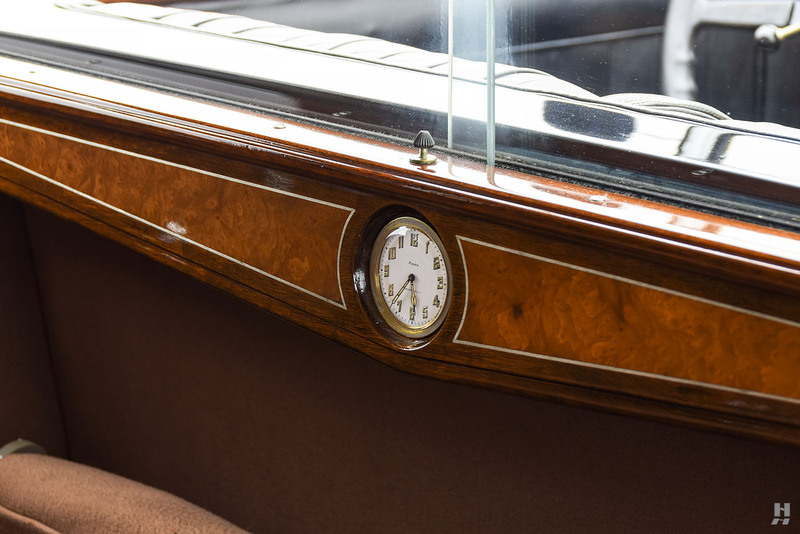 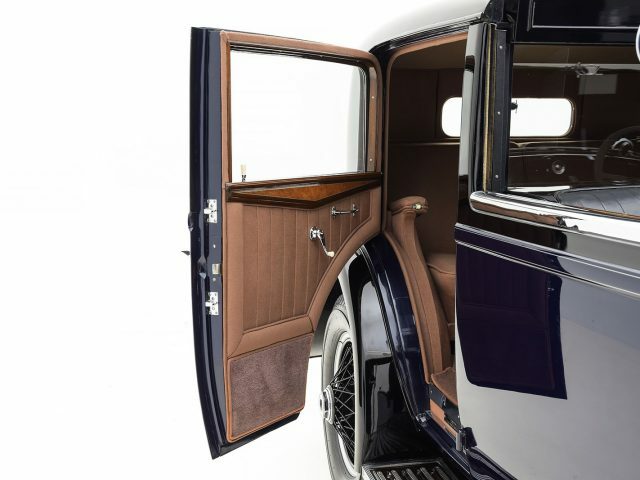 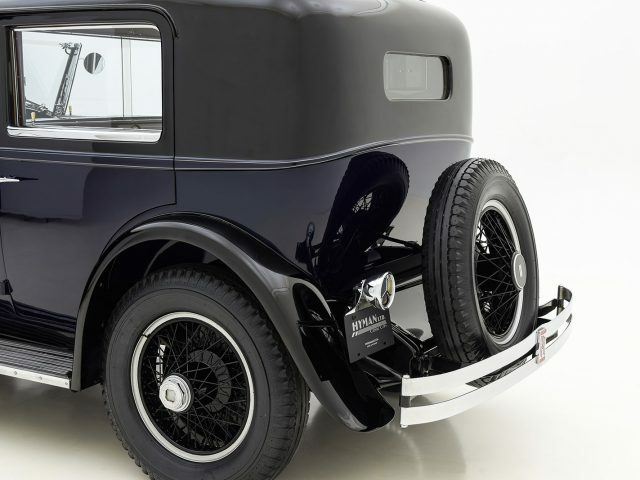 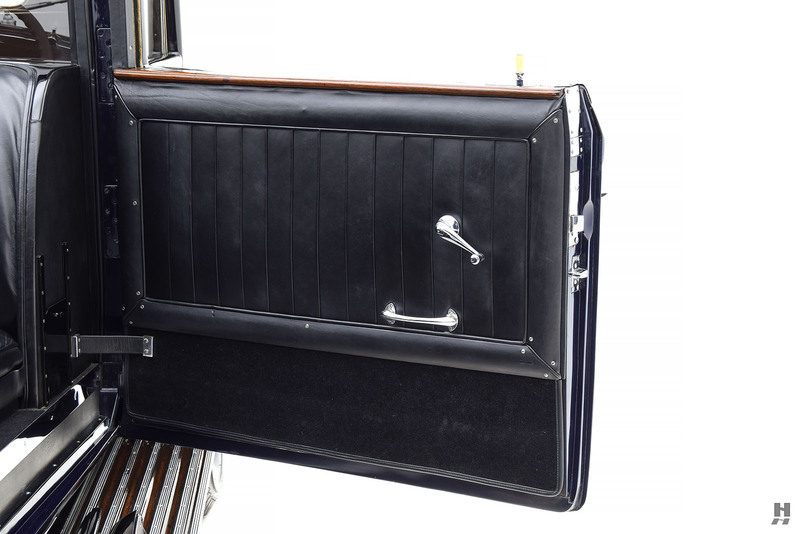 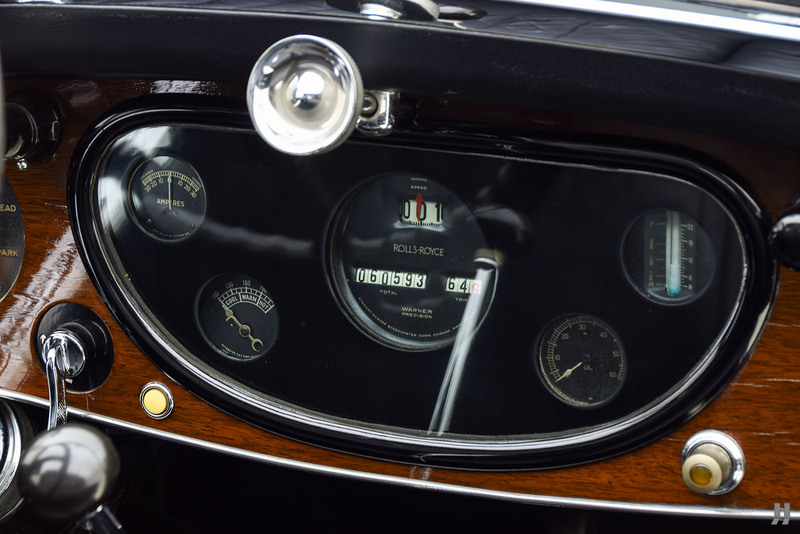 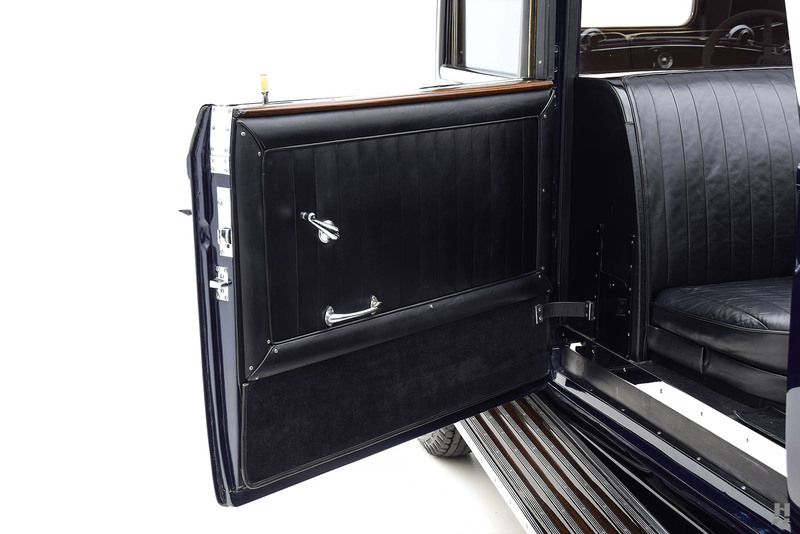 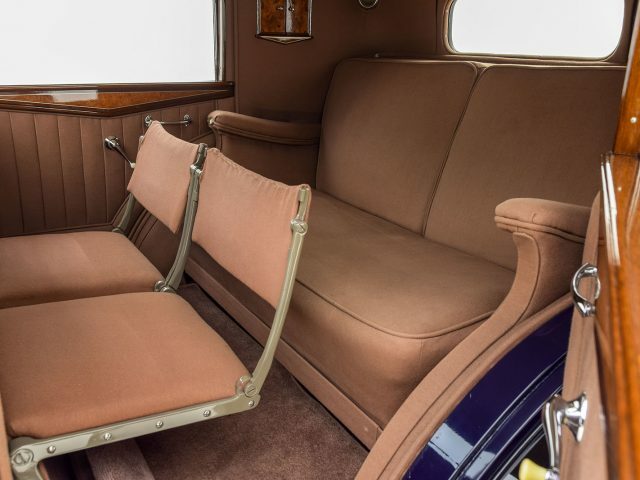 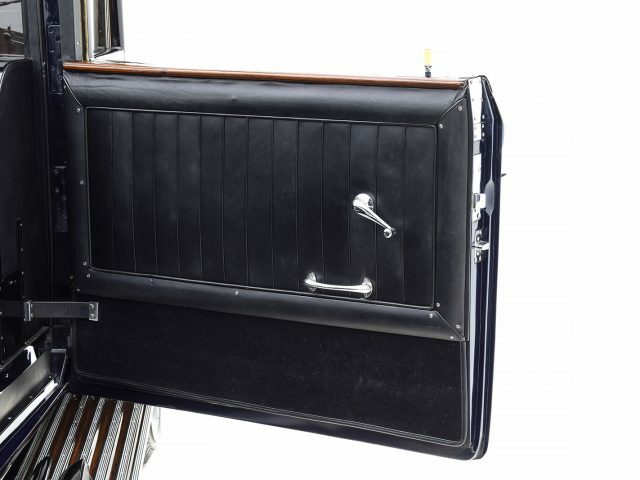 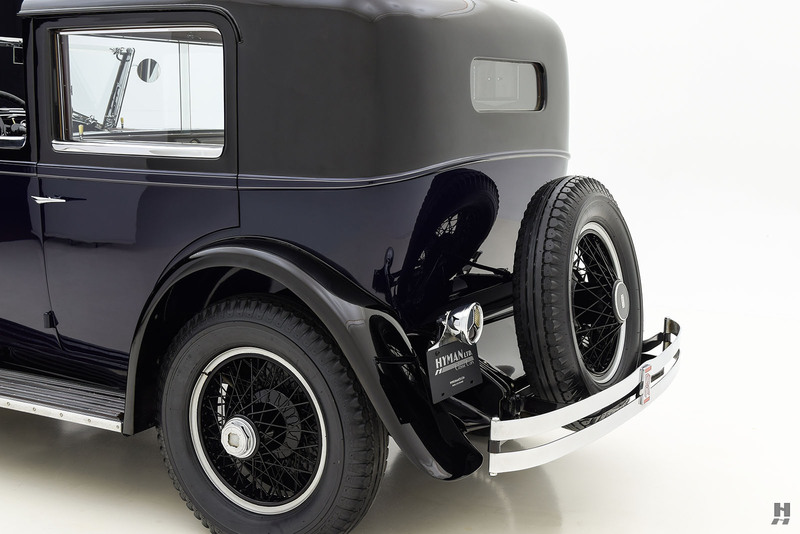 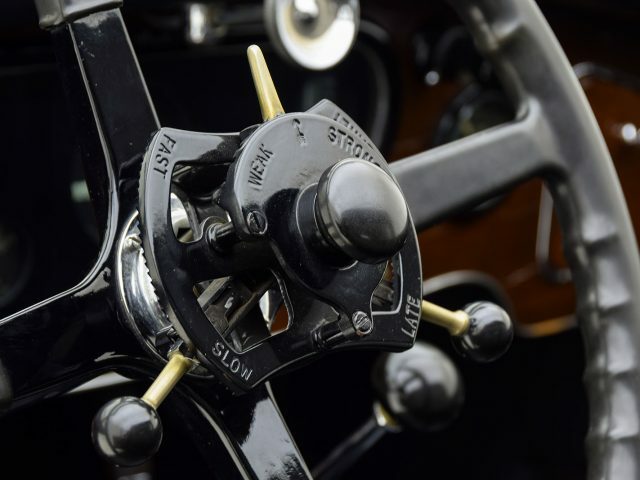 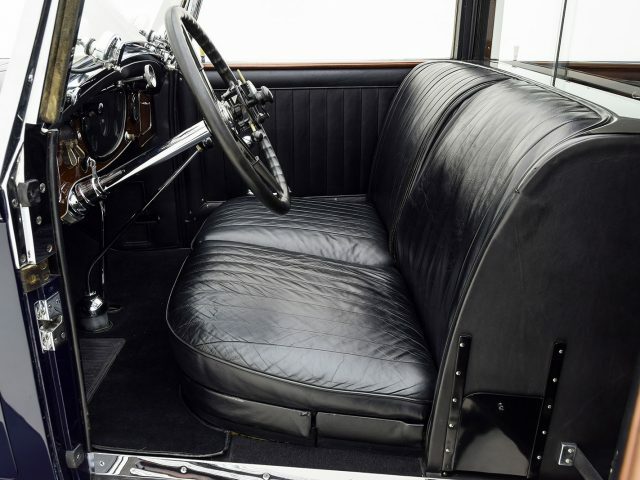 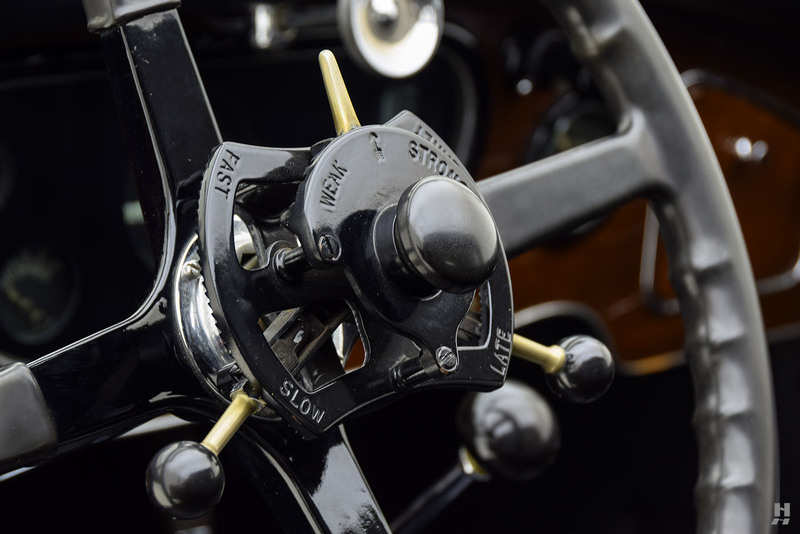 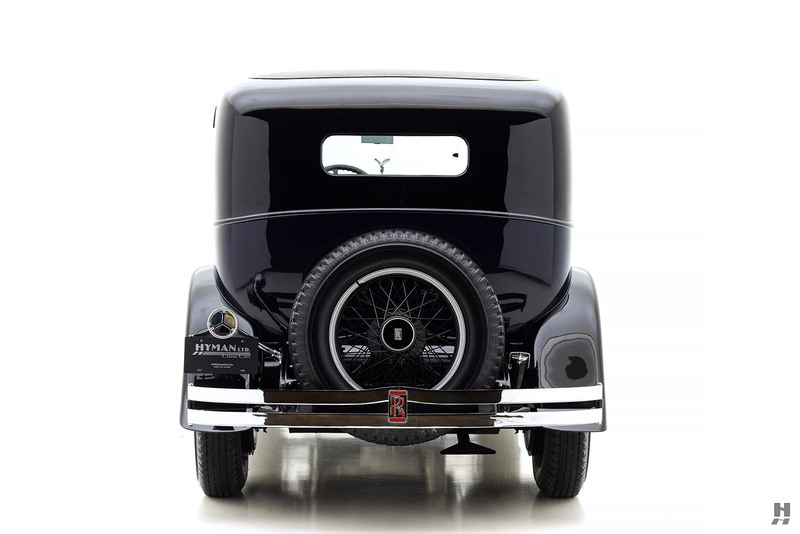 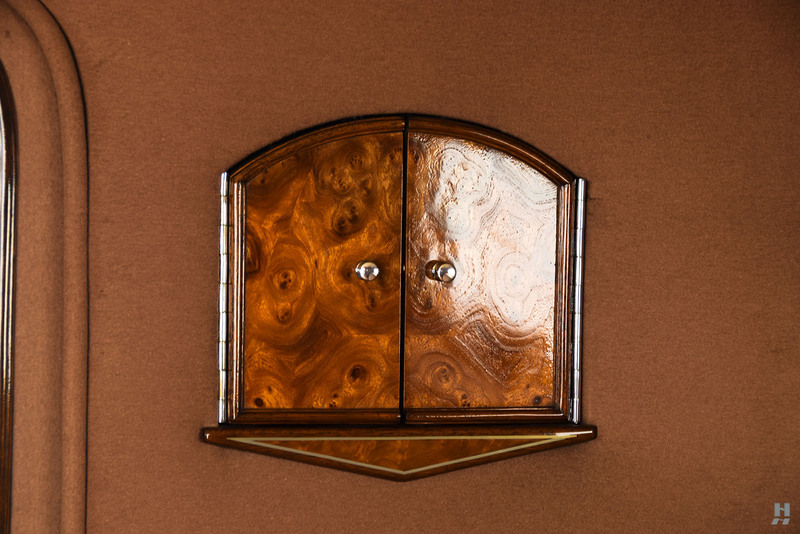 The world-class restoration has developed a slight patina over the years, taking on a charm and warmth that is well-suited to the coachwork. 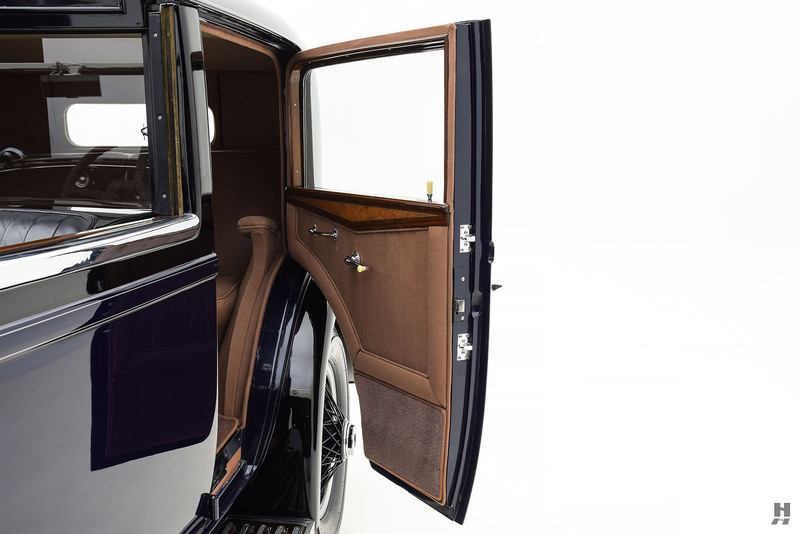 The cabin presents in beautiful order both in the chauffeur and passenger compartments, with fine detailing and high quality finish work. 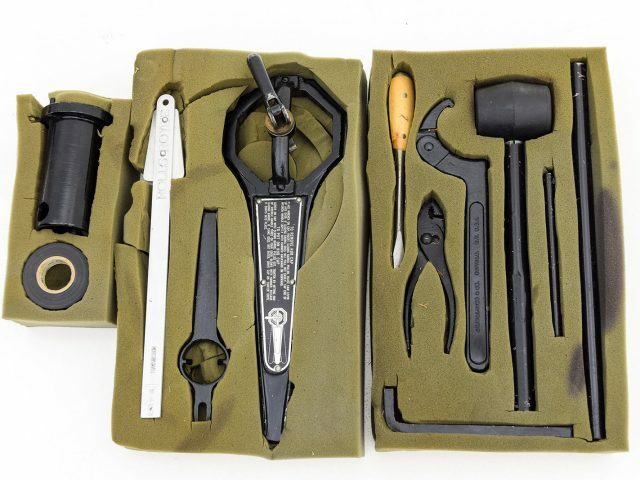 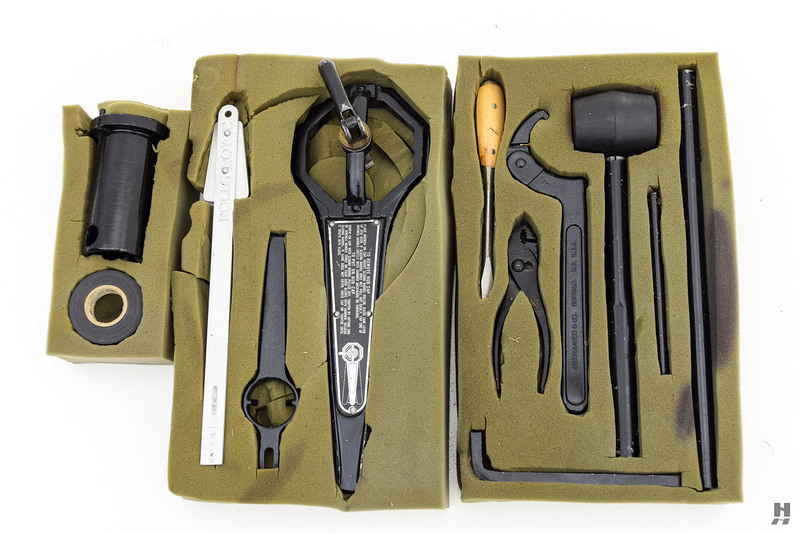 The sale will include a comprehensive original tool kit, service and repair manuals, and two large binders of historical documentation. 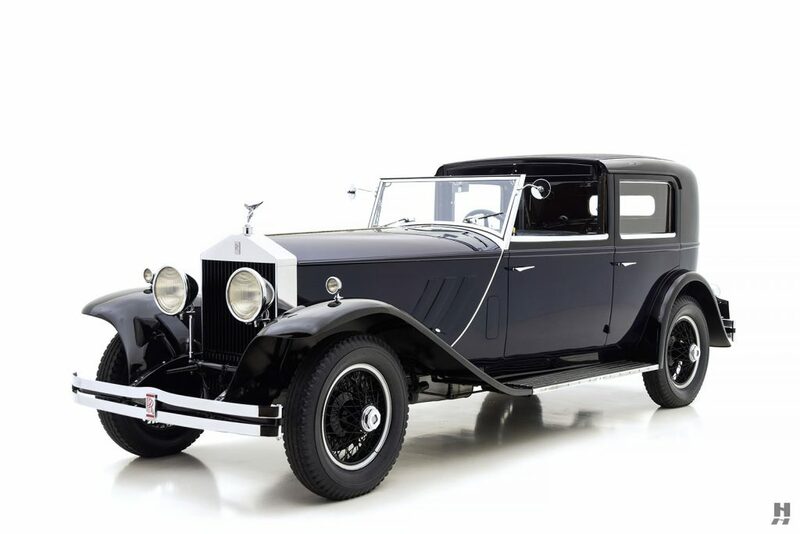 Believed to be one of just a small handful of survivors, this elegant Phantom I Brewster Newport town car remains in fine running order and will make a most welcome participant in RROC and CCCA CARavan tours.